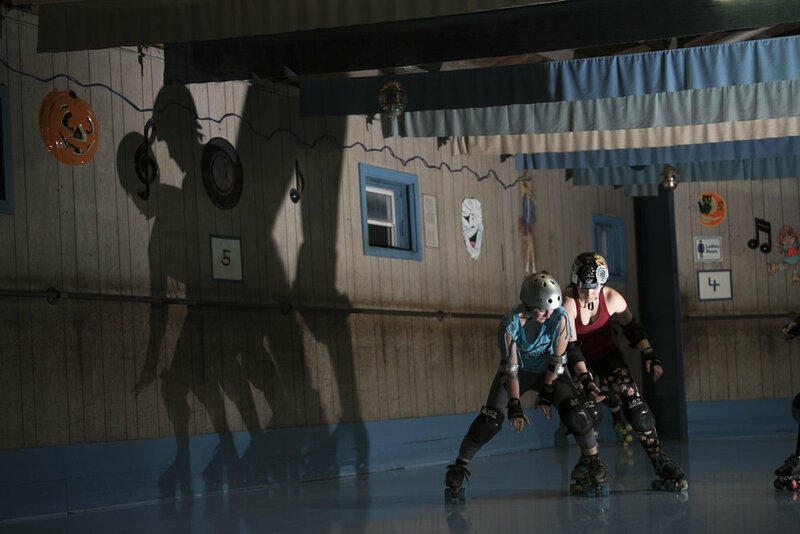 Members of the Appalachian Hellbetties skate laps to warm up for practice at the Dow Roller Arena in Athens Ohio. Jasmine Facun ties her skate. The Appalachian Hellbetties do their signature “Hell Yeah Hell Betties” cheer to mark the end of practice. Jasmine Facun practices jumping while skating.